When you decide to purchase a motorcycle, you don’t buy the first one you see. You look at several different bikes and test drive the ones you like. You shop around to get the best deal. You make sure that the bike you choose will suit your interests, your desires, your needs, and your lifestyle. Choosing the right motorcycle insurance is much like choosing the right motorcycle. You need to examine the different options before you choose the policy that is right for you, and you need to shop around to be sure you are getting your policy at the right price.If you finance your bike, the bank, credit union, or loan company will require that you carry full motorcycle insurance coverage during the life of the loan. This ensures that the loan will be paid off, in the event that you are involved in an accident and the bike is totaled, or if the bike is stolen or vandalized. If you do not take out a loan to buy and insure your bike, you can choose whether or not to carry comprehensive and collision coverage. You will be required by state law to carry liability insurance. It is against the law to operate a motorcycle without this type of coverage. The amount of insurance that you will be required to carry varies from state to state. You can opt for a policy with higher limits as well. A policy will be more expensive, if you opt for comprehensive and collision coverage, but you will also have the peace of mind that the coverage provides. If you carry only liability insurance, you will have to pay out of pocket to replace your bike, in the event of an accident.When it comes to buying motorcycle insurance, you should choose a policy that fits into your budget, but you should also carry coverage that you are comfortable with. If replacing your bike would create a financial hardship, you should opt for full coverage. 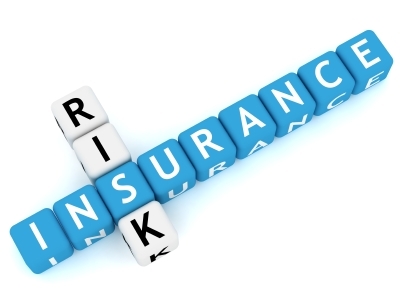 Under-insured and uninsured motorist coverage is also an option that you may want to consider. If a motorist with no insurance, or a driver with inadequate insurance, causes an accident that you are involved in, your insurance will cover for the things that their insurance does not.